American Biological Safety Association (ABSA) - Promotes biosafety as a scientific discipline and serve the growing needs of biosafety professionals throughout the world. American Society for Biochemistry and Molecular Biology (ASBMB) - Members teach and conduct research at colleges and universities. American Society for Cell Biology (ASCB) - The Society is a member of the Federation of American Societies for Experimental Biology (FASEB), the International Federation of Cell Biology, and of the Coalition for the Education in the Life Sciences (CELS). American Society for Microbiology (ASM) - The oldest and largest single life science membership organization in the world. American Society of Human Genetics - Professional membership organization for human geneticists in North America. Over 5,000 members include researchers, academicians, clinicians, laboratory practice professionals, genetic counselors, nurses and others involved in human genetics. Association for Politics and the Life Sciences (APLS) - An international and interdisciplinary association of scholars, scientists, and policymakers concerned with problems or issues that involve politics or public policy and one or more of the life sciences. The association publishes a journal, Politics and the Life Sciences; a newsletter, APLS News; and a membership directory, The APLS Directory. Bioinformatics Organization - Organization ccommitted to opening access to bioinformatics research projects, providing Open Source software for bioinformatics by hosting its development, and keeping biological information freely available. Biologia Centrali-Americana (Electronic) - This digital edition of the out-of-print Biologia Centrali-Americana makes all 58 biological volumes available. Descriptions of over 50,000 (and images of over 18,000) species of animals and plants. Center for Genetics and Society - A nonprofit information and public affairs organization working to encourage responsible uses and effective societal governance of the new human genetic and reproductive technologies. Coalition for the Advancement of Medical Research - An organization comprised of nationally-recognized patient organizations, universities, scientific societies, foundations, and individuals with life-threatening illnesses and disorders, advocating for the advancement of breakthrough research and technologies in regenerative medicine - including stem cell research and somatic cell nuclear transfer - in order to cure disease and alleviate suffering. Current Biology - A general journal that publishes original research across all areas of biology. E.O. Wilson Biodiversity Foundation - Fostering a new generation of explorers, environmental policy makers, and informed citizens that celebrate and conserve the biological richness of nature as a treasure to be passed on. Innovative education initiatives include short video productions, social media, live events, literature and art. Entomological Society of America - The largest organization in the world serving the professional and scientific needs of entomologists and people in related disciplines. Entomological Society of Canada - Represents one of the biggest and oldest societies in whole Canada. Focuses on professional work with insects and other vermin species. Federation of American Societies for Experimental Biology (FASEB) - Provides educational meetings and publications to disseminate biological research results. Hastings Center - Bioethics research organization. Human Behavior and Evolution Society (HBES) - An interdisciplinary, international society of researchers, primarily from the social and biological sciences, who use modern evolutionary theory to help to discover human nature - including evolved emotional, cognitive and sexual adaptations. Human Biology Association - Promotes education, discussion, integration and dissemination of research on all aspects of human biological variation through annual scientific meetings and periodic publications. Insect Sciences Museum of California (ISMC) - Supports personal and community development through conservation sciences research and learning that focuses on the entomological sciences and the other sciences and technologies that foster greener living for stakeholders in Oakland, the San Francisco Bay Area, California and the World. International Biometric Society - An international society for the advancement of biological science through the development of quantitative theories and the application, development and dissemination of effective mathematical and statistical techniques. International Union of Biological Sciences (IUBS) - Promotes the study of biological science; organizes international conferences and assists in the publication of their reports. National Center for Science Education (NCSE) - Defends the teaching of evolution in public schools. We are a nationally-recognized clearinghouse for information and advice to keep evolution in the science classroom and "scientific creationism" out. Actionbioscience - Articles by scientists, science educators, and science students on issues related to seven bioscience challenges: environment, biodiversity, genomics, biotechnology, evolution, new frontiers, and bioscience education. 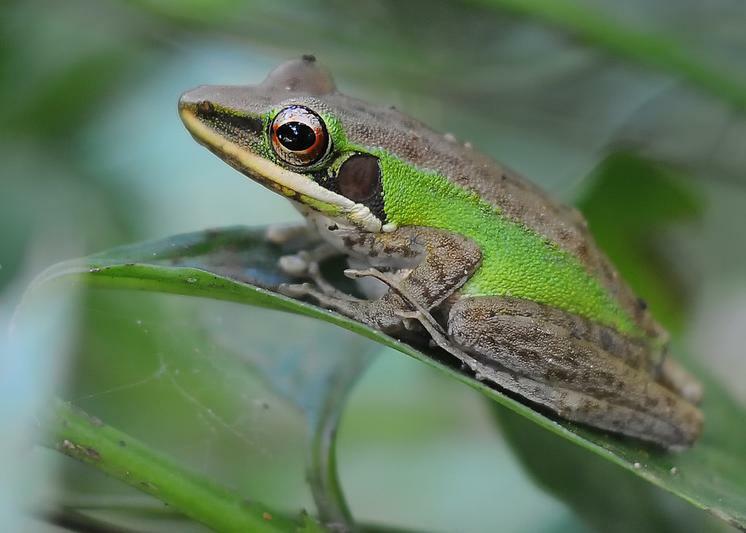 AmphibiaWeb - An information system for amphibian conservation biology. Provides ready access to taxonomic information for every recognized species of amphibian in the world. Species accounts are added regularly by specialists and volunteers containing species descriptions, life history information, conservation status, literature references, photos and range maps. Antlion Pit - A collection of resources related to the antlion, or doodlebug. Astrobiology Web: Your Online Guide to the Living Universe - An online guide to the origin, evolution, and distribution of life in the Universe and other aspects of space exploration. Bio Web - Tools for DNA and protein sequence analysis, bio-journals, companies catalogues, protocols, web bio-directories, research institutions and other sites of biological interest. Bio-IT - Media source on the convergence of information technology and the life sciences. BioExchange - A leading internet-enabling platform for the biopharmaceutical sector. Bioinformatics - Organization ccommitted to opening access to bioinformatics research projects, providing Open Source software for bioinformatics by hosting its development, and keeping biological information freely available. Biological Collection Access Service for Europe (BioCASE) - A transnational network of biological collections of all kinds. BioCASE enables widespread unified access to distributed and heterogeneous European collection and observational databases using open-source, system-independent software and open data standards and protocols. Biology Online - Biological information, including biology tutorials and a dictionary of biology. Biology Project - Interactive resource for learning biology. BiologyBrowser - Resources, useful links, and a forum for connecting hundreds of researchers and information scientists worldwide. Bioresearch Online - Information for the worldwide bioresearch and life sciences industries. Provides daily news updates and in-depth feature stories about drug discovery, research and development advancements, university-industry collaborations, and regulatory issues. BioSciEdNet (BEN Collaborative) - Over 1,000 reviewed resources covering 51 biological sciences topics. BioScience - Overviews of current research in biology, accompanied by essays and discussion sections on education, public policy, history, and the conceptual underpinnings of the biological sciences. BioScience Writers - A group of research scientists with expertise in scientific grant development, manuscript preparation, and report editing that provides editorial services on scientific documents. Biosciences Virtual Library - Biosciences, including biodviersity and ecology, biotechnology, botany, cell biology, developmental biology, environment, genetics, microbiology, model organisms, mycology, neurobiology, parasitology, physiology, vision science and more. BIOSIS - Life information databases and resources. BugGuide - An online community of naturalists who enjoy learning about and sharing their observations of insects, spiders, and other related creatures. Celera - Source of genomic, proteomic and related biological and medical information. Includes software tools that provide the ability to view, browse and analyze this information in integrated ways to facilitate discovery. Cell and Molecular Biology Online (CMBO) - An informational resource for cell and molecular biologists. CELLS Alive - This site represents over 25 years of experience capturing film and computer-enhanced images of living cells and organisms for education and medical research. A stock video library provides producers with a range of subjects, and includes both live recording and computer animation. A variety of immune cells, bacteria, parasites, and aquatic organisms are available for licensing for educational, broadcast, and commercial use. Center for Biofilm Engineering (CBE) - At the CBE, multidisciplinary research teams find solutions and applications for industrially relevant problems and potentials of microbial biofilm formation. Centre for Molecular and Biomolecular Informatics (CMBI) - Dutch national centre for computational molecular sciences. Charles Darwin: After the Origin - The year 2009 marked both Charles Robert Darwin's 200th birthday (February 12th) and the 150th anniversary of the publication of the Origin of Species. This exhibition is a collaboration between the Museum of the Earth and the Cornell Library's Division of Rare and Manuscript Collections. Complete Work of Charles Darwin Online - Autobiography, Origin of Species,Voyage of the Beagle, Descent of Man, Zoology of the Beagle, articles, translations, published manuscripts. Darwin Correspondence Project - On this site you can read and search the full texts of more than 7,500 of Charles Darwin's letters, and ﬁnd information on 7,500 more. Available here are complete transcripts of all known letters Darwin wrote and received up to the year 1869. More are being added all the time. Darwin Manuscripts Project - On this American Museum of Natural History site you will find the manuscripts that record Charles Darwin's work as a practicing scientist. The database at its core-DARBASE-catalogues some 45,000 Darwin scientific manuscripts. These are currently represented by 15,125 high resolution digital images. Thus far 7,428 manuscript pages have been transcribed to exacting standards and all are presented in easy to read format. Cold Spring Harbor Laboratory - A research and educational institution. The Laboratory has research programs focusing on cancer, neurobiology and plant genetics and a broad educational mission, including the recently established Watson School of Biological Sciences. James D. Watson, president of the Laboratory, shared the Nobel Prize in 1962 for his part in the discovery of the double helical structure of DNA. Creation "Science" Debunked by Lenny Frank - For most of us, the controversy over creation and evolution was settled way back in 1925, when Clarence Darrow eviscerated William Jennings Bryan in a country courtroom in Dayton, Tennessee. However, a growing number of recent attempts to remove evolutionary theory from the schoolroom, in favor of a "scientific" version of the biblical Genesis story, demonstrates that the anti-evolutionist movement is still alive and well in America. The popular image of creationists tends to picture a group of rural hayseeds with not much education, who continually thump the Good Book as they speak. Modern creationists, however, are very slick, are usually well-educated, and are very skilled in the techniques of debate and sophistry. Here is a quick and dirty guide to the creation/evolution battle. Also see There Is No Evidence for a Worldwide Flood. CSUBIOWEB - Consolidates existing WWW biological science teaching and research resources. Creates and distributes original multimedia resources for teaching biology. Department of Entomology, National Museum of Natural History, Smithsonian Institution - Entomology and insects information, news, resources, and databases. DNA Interactive - Dedicated to the moment on 28 Feb 1953 when Jim Watson and Francis Crick discovered the double-helical structure of DNA - and to scientists who breathed life into that structure. DNA Learning Center (DNALC) - A science center devoted entirely to public genetics education. Edwards v. Aguillard: Amicus Curiae Brief by 72 Nobel Laureates - Summary of the argument: The Louisiana Balanced Treatment for Creation-Science and Evolution-Science Act (the 'Act') violates the Establishment Clause, as incorporated in the Fourteenth Amendment. The Act's illegitimate bias toward the outlook of a particular religious sect is reflected in two separate provisions. One calls for the presentation of the religious tenets of 'creation-science' in public-school science classes. The other singles out the domain of evolutionary science for special pejorative treatment. Embryo Images: Normal & Abnormal Mammalian Development - A tutorial that uses scanning electron micrographs (SEMs) to teach mammalian embryology. The 3-D like quality of the micrographs coupled with selected line drawings and minimal text provide understanding of the complex morphological changes that occur in utero. Because early human embryos are not readily available and because embryogenesis is very similar across mammalian species, the majority of micrographs that are utilized in this tutorial are of mouse embryos. The remainder are human. A Guide to the Adult Damselflies & Dragonflies of the Ottawa District, Canada - Provided by John Sankey. It includes a checklist of all species known from within 50 km of Parliament Hill, and the preferred habitats of each species. Allpet Roaches - Dedicated to all roach enthusiasts. Photographs of many species. Bug Squad - Blogging on happenings in the insect world from the University of California's Division of Agriculture and Natural Resources. California Academy of Sciences: Entymology - One of the four largest entomology collections in North America. It contains about 10,000,000 curated specimens, representing all orders, nearly all families, and approximately 250,000 species of insects, myriapods, and arachnids. Canadian National Collection (CNC) of Insects, Arachnids and Nematodes - Considered one of the best collections of its kind in the world in terms of size, species representation, and level of curation. The collection is estimated to contain approximately 16 million specimens systematically arranged in 1400 steel cabinets. Collecting and Preserving Insects - Backgrounder by Jeffrey Hahn. Collecting and Preserving Insects and Mites: Tools and Techniques - This manual is an updated and modified version of the USDA Misc. Publication no. 1443 published by the Agricultural Research service in 1986 and Edited by George C. Steyskal, William L. Murphy, and Edna M. Hoover. Cornell University Insect Collection - Includes over 7 million insects specimens representing about 200,000 species, or roughly 20% of the world's described insect fauna. Decomposition: fly life cycle and development times - Describes the natural biological process that occurs after death. Authored by Richard Major, Australian Museum research scientist. Essig Museum of Entomology - The University of California, Berkeley world-class terrestrial arthropod collection with a historical focus on surveying the insect fauna of California. Today that focus has broadened to include the eastern Pacific Rim and the islands of the Pacific Basin. Exploring California Insects (ECI) - A program of the Insect Sciences Museum of California. ECI is conducting photographic surveys of California Insects. These images are published into an online insect PhotoBank. Images also are used in other publications, including BugPeople field guides and curriculum. Users may obtain access to these images, usually without cost. How to Collect and Display Insects - Basic guide to collecting and displaying insects. How to Know the Insects - An illustrated key to the more common families of insects, with suggestions for collecting, mounting and studying them by Harry Edwin Jaques. How to Make an Awesome Insect Collection - A beginner's guide to finding, collecting, mounting, identifying, and displaying insects. Authors: Timothy J. Gibb and Christian Y. Oseto. Insect Collecting (Wikipedia) - Since most types of insects have hard exoskeletons that retain their form after the insects dies, it is easy and practical to form a collection. Insect Collections Methodology (Wikimedia Commons) - Equipment, mounted insects and storage. Insect Pinning Instructions [pdf] - How to pin and spread butterflies and other insects for display. Information provided by Home Science Tools. Insects in an Urban Garden: Ottawa, Canada - From John Sankey. Insects of the San Francisco Bay Area - The San Francisco Bay Area is home to a number of insects, including different types of butterflies, dragonflies, damselflies, beetles and grasshoppers. You can find them in all types of habitats including urban areas. Iowa State Entomology Index of Internet Resources - Directory and search engine of insect-related resources on the Internet, by content type, taxonomic group, and entomological subdiscipline. J. L. Gressitt Center for Research in Entomology - Houses over 14 million prepared specimens of insects and related arthropods, including over 17,000 primary types, making it the third largest entomology collection in the United States and the eighth largest in the world. While global in scope, the collection's strength lies in its unparalleled holdings of specimens from New Guinea, Southeast Asia, the Philippines and Oceania. Natural History Museum, London: Entomology Collection Database - Engaged in conserving a vast insect collection and utilizing the collections for cutting edge research. R. M. Bohart Museum of Entomology - Founded in 1946 and located on the University of California, Davis campus, the museum is dedicated to teaching, research and service. It has the seventh largest insect collection in North America, and is worldwide in coverage. The collection holdings total more than seven million specimens of terrestrial and fresh water arthropods. San Francisco Zoo: Invertebrates - From Anise Swallowtail Caterpillars to the Yellow Spotted Water Beetle. European Bioinformatics Institute (EBI) - A center for research and services in bioinformatics. The Institute manages databases of biological data including nucleic acid, protein sequences and macromolecular structures. ExPASy Molecular Biology Server - This is the ExPASy (Expert Protein Analysis System) proteomics server of the Swiss Institute of Bioinformatics (SIB). Dedicated to the analysis of protein sequences and structures as well as 2-D PAGE. Federation of American Societies for Experimental Biology (FASEB) - A coalition of independent member societies that serve the interests of biomedical and life scientists, particularly those related to public policy issues. Global Change Biology - Publishes primary research articles, technical advances, research reviews, commentaries and letters in subject areas concerning current environmental change that affects a substantial part of the globe and biological system. Harvard University Department of Molecular and Cellular Biology - Modern biology research department. HHMI's Biointeractive - A collection of biology-focused teaching materials created by the Howard Hughes Medical Institute. How Stem Cells Work - This article provides brief background about stem cells, pluripotent cells that can develop into every cell, and related matters. Topics include how stem cells operate, acquiring embryonic stem cells for research, replicating stem cells in a lab, research challenges, using stem cells to treat diseases, and controversy over research. From HowStuffWorks. Immunobiology Animations - Companion to the textbook Immunobiology, 5th edition. Insect Identification - Common North American insects and spiders. Kimball's Biology Pages - Online biology textbook. Labome - Organizes biomedical grants, patents, publications, and webpages from a selected group of websites around research topics, genomes and genes, scientific experts, and species for easy browsing and searching. Lepidoptera - Scientific portal exclusively focused on butterfly and moth (Lepidoptera) studies - news, LepsGlossary, directory, e-Museum, almanac, who is who. Life Science Network (LSN) - An internet platform for professional networking and sharing of knowledge in life sciences. The platform offers multiple modules: featured publications articles, post-publication reviews, jobs, protocols, preprints, events, news, and more. Life Sciences Breakthrough Prize - Founded by Art Levinson, Sergey Brin, Anne Wojcicki, Mark Zuckerberg and Priscilla Chan, and Yuri Milner to recognize excellence in research aimed at curing intractable diseases and extending human life. Marxism and Natural Science - A collection of articles by Marxist and reference writers on natural science. It includes a variety of writers including Marx, Engels, Lenin, Haldane, Bernal, as well as a subject section on Lysenkoism. MicrobeLibrary - A peer-reviewed, web-based collection of scholarly resources about the microbial world. The Library builds upon the scientific expertise, intellectual creativity, and private collections of the 45,000 members of the American Society for Microbiology (ASM). MicrobeWorld - Portal to the micro-scale universe of bacteria and viruses. Mycology.Net - Data on the biodiversity of fungi, including lichens, especially their taxonomy, distribution, phylogeny, descriptive characters, collections, literature. Information about mycological institutions, journals, databases (link sections) and persons engaged in mycology. Natural History Museum - A new museum that offers exhibitions, expeditions, educational workshops, and public programming. Unlike traditional natural history museums, it makes a point to include and highlight the socio-political forces that shape nature. These forces include those affecting the atmospheric climate on Earth, as well as the political /funding climate within museums of science and natural history. Nonindigenous Aquatic Species (NAS) - Information resource for the U.S. Geological Survey. A central repository for accurate and spatially referenced biogeographic accounts of nonindigenous aquatic species. Phys.org: Biology - Biology news channel. PLoS Biology: Open-Access Journal - Features works in all areas of biological science, from molecules to ecosystems, including works at the interface with other disciplines, such as chemistry, medicine, and mathematics. Politics and the Life Sciences - An interdisciplinary peer-reviewed journal with a global audience. PLS is owned and published by the Association for Politics and the Life Sciences. The journal is edited in the United States at the University of Maryland's School of Public Affairs, in College Park, Maryland. Protein Data Bank - Worldwide repository for the processing and distribution of 3-D biological macromolecular structure data. PubMed Central - NIH repository for peer-reviewed primary research reports in the life sciences. Richard Dawkins Foundation for Reason and Science - Clear thinking oasis. Supports scientific education, critical thinking and evidence-based understanding of the natural world in the quest to overcome religious fundamentalism, superstition, intolerance and human suffering. Sanger Centre Web - A genome research centre. Scientist, The - News journal for the life scientist provided with the cooperation of the Institute for Science Information (ISI) and the University of Pennsylvania. Stem Cell Information - This site is the official National Institutes of Health (NIH) resource for stem cell research. Includes an introduction to stem cells and the "possibility of cell-based therapies to treat disease, which is often referred to as regenerative or reparative medicine," and information about research ethics, federal policy, research projects and papers, and more. The NIH library stem cell literature database is not available to the public. Todar's Online Textbook of Bacteriology - The bacteria are a group of single-cell microorganisms with procaryotic cellular configuration. The genetic material (DNA) of procaryotic cells is not contained within a nucleus, which is the definitive characteristic of eukaryotic cells, such as those that make up plants and animals. Until recently, bacteria were the only known type of procaryotic cell, and the discipline of biology related to their study was called bacteriology. In the 1980's, with the outbreak of molecular techniques applied to phylogeny of life, another group of procaryotes was defined and informally named "archaebacteria ". This group of procaryotes has since been renamed archaea and has been awarded biological domain status on the level with bacteria and eukarya. The science of bacteriology includes the study of both domains of procaryotic cells, but the name "bacteriology" is not likely to change to reflect the inclusion of archaea in the discipline. Actually, many archaea have been studied as intensively and as long as the bacteria, but with the notion that the archaea were bacteria. Tree of Life Web Project, The (ToL) - A collaborative Internet project containing information about phylogeny and biodiversity. Each page contains information about a particular group of organisms (e.g., echinoderms, tyrannosaurs, phlox flowers, cephalopods, club fungi, or the salamanderfish of Western Australia). ToL pages are linked one to another hierarchically, in the form of the evolutionary tree of life. Starting with the root of all life on Earth and moving out along diverging branches to individual species, the structure of the ToL project thus illustrates the genetic connections between all living things. University of Nebraska State Museum: Division of Entomology - State-of-the-art collections facilities that house approximately 2 million pinned, fluid-preserved, papered, and slide-mounted insects and arachnids. Its research collections in entomology rank in the top 20 collections of this type in North America and represent one of only three with large holdings of Great Plains material (the University of Kansas and Iowa State University being the other two). UNSW Embryology - University of New South Wales embryology program: reproduction, human development, animal development, embryo, fetus, developmental abnormalities, cloning, stem cells. Virtual Library: Biosciences - Extensive directory of bioscience resources. Women in Biology Internet Launch Page - This page is a starting point for finding information about biologists who happen to be women. World Biodiversity Database - A continuously growing taxonomic database and information system that aims at documenting all presently known species (about 1.7 million). The WBD contains taxonomic information (hierarchies), species names, synonyms, descriptions, illustrations and literature references when available. A direct link to CMBI provides genetic information on protein sequence (from the SWISS-PROT and TrEMBL databases), nucleic sequence (EMBL) and 3D structures (PDB) for each taxon. World Taxonomist Database - Updated information on over 5,000 taxonomists/specialists worldwide. Search for a person, an institute, a specific country, a taxonomic group, or for any combination of these criteria if you need to narrow down your search. WWW Virtual Library of Cell Biology - A guide to major online resources in cell biology indexed by subject with annotated links: cell biology, angiogenesis, apoptosis, programmed cell death, cell cycle, cytokinesis, cytoskeleton, cell motility, motors, extracellular matrix, microscopy, proteins, biogenesis, degradation, signal transduction, growth, differentiation, shape change, vesicle, trafficking, transport, targeting, targetting, sorting, secretion, endocytosis, exocytosis, laboratories, conferences, symposia, courses, organizations, societies, journals, vendors. This webpage last updated on Saturday, May 19, 2018 10:29 PM.